Is the defence of world heritage sites in Iraq the new «responsibility to protect» doctrine to justify Western intervention in the geo-strategically important region? The timing coincides with renewed admonitions from the United States and Saudi Arabia for a coalition of ground forces to defeat the Islamic State network in Iraq and Syria – and just when Iraqi and Syrian forces appear to be decisively pushing back the extremists in both countries. The United Nations Secretary General Ban Ki-Moon this week added his voice to calls for an international coalition of forces to prevent the continuing destruction of ancient cultural sites and artefacts by the IS terror group. The initiative comes after the United Nations Educational, Science and Cultural Organisation (UNESCO) condemned the campaign of IS looting and obliteration of antiquities as a war crime. IS cadres – also known by alternative acronyms ISIL or ISIS – have issued propaganda videos of wholesale vandalism of museums, churches, sculptures and other archaeological treasures in northern Iraq. Images of bulldozers and sledgehammer-wielding militants tearing down 3,000-year-old porticos and statues have indeed shocked the world. Cities under IS control, Mosul and Nimrud, have seen priceless artefacts destroyed in unspeakable acts of nihilism. Nimrud is the ancient capital of Assyria dating back to 800 BC and has associations with the great grandson of the reputed biblical prophet Noah. The next target for the Islamists is the city of Hatra, which is home to some of the oldest known architecture in the world. 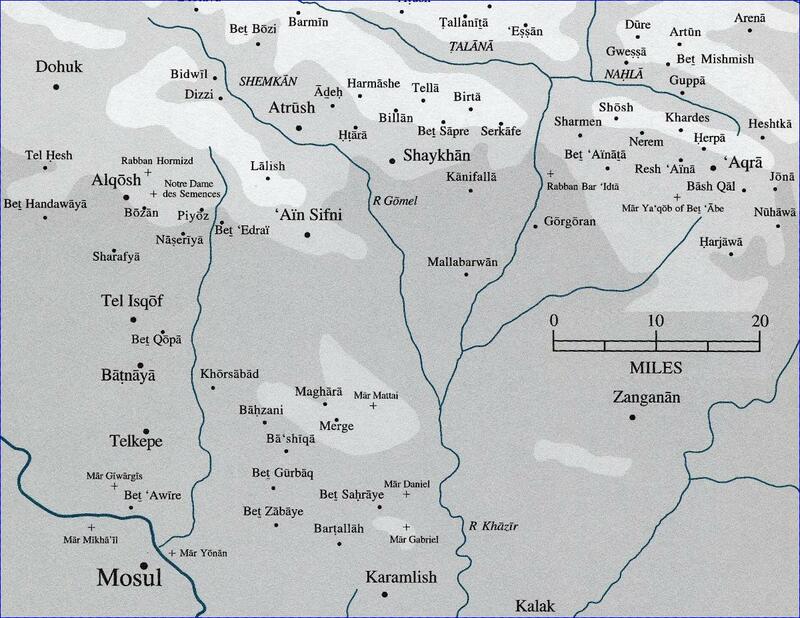 The land of Mesopotamia between the Euphrates and Tigris rivers – straddling what is now modern Syria and Iraq – is known as «the cradle of human civilisation». Its rich tapestry of cultural heritage is reflected in the hitherto peaceful coexistence of religions. The systematic campaign to delete antiquities by the IS network goes hand-in-hand with the group’s lethal intolerance and persecution of other people who do not share its obscurantist Wahhabi ideology. Christians, Shia and Sunni Muslims, Yazidis and others have all been brutally victimised, with graphic images of beheadings and crucifixions of men, and women and children being sold into slavery. The suspicion is that the West is preparing to use this powerful emotive backdrop as a new pretext to justify military intervention. This seems especially the case because erstwhile pretexts, such as «protecting human rights», have run out of credibility as a political lever on public opinion. The US and its Western allies have long used the doctrine of «responsibility to protect» or «R2P» as a flimsy pretext for military intervention. The concept can be traced back to the administration of President Bill Clinton during the 1990s when Washington and its NATO allies invoked the «moral imperative» to use military force in former Yugoslavia to supposedly protect human rights. The much-vaunted ethical principle has thus served as a means to interpret international law in such a way that justifies Western military interventions, even when those interventions involve NATO bombardment of cities, as happened in Belgrade. It is also a convenient public relations device in order to convince Western popular opinion to rally around foreign military deployment. Of course, an ethical dimension has always purportedly been used to justify US and Western wars abroad. We can go back to the First World War and the Wilsonian declaration of «defending the rights of small nations». But the explicit use of human rights under the R2P doctrine became elevated to a primary motivating principle for military intervention during the past two decades. Part of its appeal was its emotive leverage on public sentiments. «It is our moral duty to protect our fellow human beings by force,» goes the argument. It was promulgated by such «liberal hawks» as the current US ambassador to the UN Samantha Power and President Barack Obama’s National Security advisor Susan Rice. Another formative factor was that a new ideological rationale was needed to replace the Cold War propaganda narrative of the US in which it was claimed to be «defending the free world from Godless communism». For nearly five decades that old chestnut served well to give legal and moral acceptance for American foreign interventions all around the globe, from South America to the Middle East, Africa and Asia. With the dissolution of the Soviet Union in the early 1990s, the US and its NATO partners needed a new ideological cover for imperialist war-making to replace the then redundant Cold War narrative. They found success with various tropes, including the «War on Terror», the elimination of «weapons of mass destruction», and the Responsibility to Protect» human rights. R2P was famously rolled out to justify the NATO role in Libya during 2011, which eventually saw the toppling of the government of Muammar Gaddafi and the ongoing internecine wracking of the North African country. In March 2011, the US and its NATO partners claimed that the setting up of a No-Fly Zone was necessary to prevent a bloodbath by pro-Gaddafi forces in the eastern city of Benghazi. The bloodbath never came but the NATO No-Fly Zone quickly transmogrified into a seven-month aerial bombing campaign that led to IS-related jihadists take over Libya, following the street lynching of Gaddafi in mid-October 2011. The trouble with all propaganda narratives is that there is a danger of them running out of credibility steam at some point. The threadbare War on Terror and the risible ridding the world of weapons of mass destruction (as in Saddam’s Iraq) have become tarnished like the R2P «doctrine». These propaganda devices have become riven with contradictions, futile self-defeating blowback effects, as well as being replete with absurd hypocrisies and double standards. The evident NATO destruction of Libya and descent into a Mad Max-type warlordism – all in the name of human rights – is indelibly illustrative of the fraudulent pretensions of Washington and its European allies. This partly explains why the Cold War narrative is being resurrected with new attempts to paint Russia under President Vladimir Putin as an «expansionist threat to global security». But the new Cold War cliché of demonising Russia has nowhere near the potency of the former narrative. It just doesn’t sound credible, with barely a semblance of facts. Likewise, the US-led aerial coalition to defeat IS in northern Syria and Iraq suffers from a fatal credibility gap. A significant constituency in the Western public knows that Washington and its European allies, along with their despotic Arab monarchies, are largely responsible for the creation of IS and other extremist groups, stemming from the illegal invasion of Iraq in 2003 and the West’s proxy war against the Syrian government of President Bashar al Assad beginning in March 2011. The flood of refugees in the region and the brutal persecution of communities by IS are all attributable to Western interventions and intrigue. Therefore the invoking of R2P as a «principle» to justify more Western military intervention just does not wash with the public. Indeed, it sounds downright ridiculous and morally reprehensible. No, some new emotive appeal is necessary. And this is where the latest calls for a coalition to «protect world cultural heritage» seems to fit the bill – at least superficially. Last week, while visiting the Wahhabi Saudi rulers, US Secretary of State John Kerry issued a statement saying that «military pressure» may be needed to oust Assad. His Saudi hosts – who have funded IS both financially and theologically – also stated that «a new coalition force is needed to defeat IS on the ground». Significantly, these US and Saudi appeals for increased military intervention in the Middle East come at a time when Syria and Iraq – both backed by Iran and Russia – have made appreciable gains against the Islamist militants. Assad’s forces are tightening the noose on the militant-held northern city of Aleppo, while the Iraqi army is pushing against the IS strongholds of Tikrit and Mosul. In other words, the ground war in Syria and Iraq is not suiting the objectives of Washington as it is consolidating gains for Russian and Iranian allies. A countervailing Western/Wahhabi Arab intervention would be desirable. However, the ideological arsenal of pretexts for US military interventions are depleted, redundant, spent or throughly disgraced. «Saving world heritage» and 3,000-year-old artefacts could be just the new version of «R2P» that is needed by the US and its Western allies.